Drama presscon tomorrow at 13:30 KST. Live on MBC Drama's V Live channel. and drama live chat tomorrow at 19:00 KST via Kakao Talk, Daum TV and Kakao TV. Two actors from “Children of Nobody” described their upcoming drama! “Children of Nobody” is about a counselor (played by Kim Sun Ah) whose perfect life comes crashing down after a mysterious incident changes her life. After meeting a child, she begins searching for the truth and comes across a series of poems that serve as clues. On November 19, Lee Yi Kyung and Nam Gyu Ri introduced their drama, characters, and more in interviews. 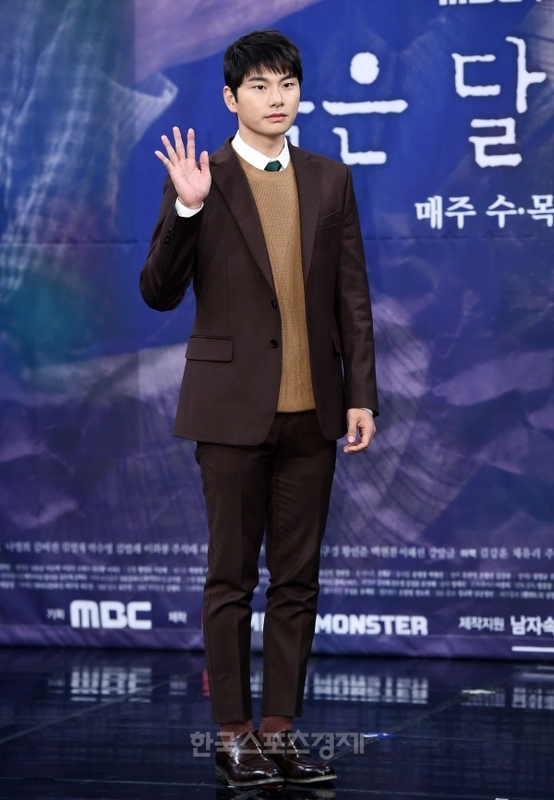 Lee Yi Kyung will portray a homicide detective named Kang Ji Heon who believes that a crime needs to be judged within the framework of the law. The actor began, “He’s someone who’s simple but definitely has his own instincts, and doesn’t lose his sense of self when investigating.” In short, he described his character as a tough detective who also trusts his gut. glad that at least this drama is picking up on internet search. as of today, 붉은 달 푸른 해 (Children of Nobody) is ninth at Daum (which is - coincidentally - owned by Kakao, the parent company of the drama's production company). With the premiere on the horizon, new photos have been released for MBC’s Red Moon, Blue Sun (also known as Children of Nobody), including a photo from the script reading, seen above, and the four leads took a moment to share some of their initial thoughts as well. Reasons to watch: A strange child and an accident turn Cha Woo-kyung’s (played by Kim Sun-ah) picture-perfect life upside down. After Kim meets this mysterious child, she sets off on a search for answers, but tragedy might be waiting at the end of that search. Lee Yi-kyung co-stars as a dedicated violent crimes detective named Kang Ji-heon who believes criminals should be punished to the fullest extent of the law. Lee is on his own search — for the culprit behind a serious of strange crimes. Nam Gyuri will play a mysterious woman who hides behind a mask of apathy and Cha Hak-yeon (of the idol group VIXX) will round out the main cast as one of Kim Sun-ah’s work colleagues. If you can handle intense thrillers that are full of foreboding, give Red Moon, Blue Sun a watch! 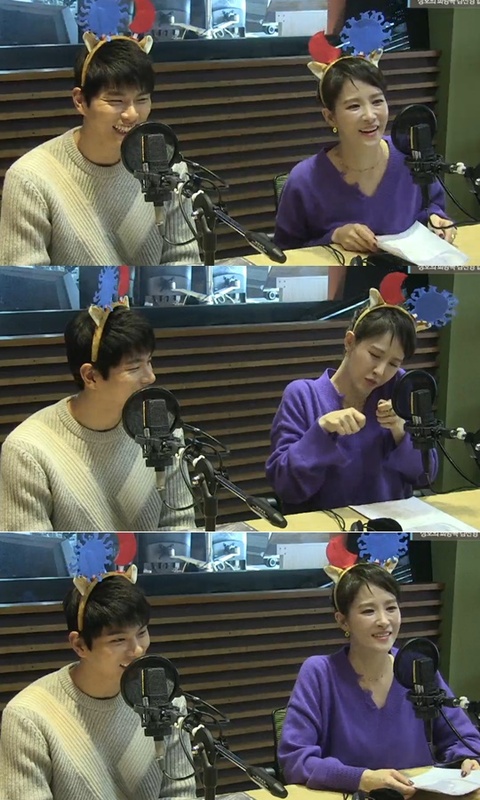 Kim Sun A · Lee Yi Kyung appeared on MBC FM4U Kim Shinyoung's Hope Song at Noon Radio Show ' broadcast on the 20th. number 2 on Daum right now! Oh boy I'm going to watch a lot of drama premier this week. Also waiting to watch this. MBC’s new Wednesday-Thursday drama “Children of Nobody” has unveiled a sneak peek of its upcoming premiere! 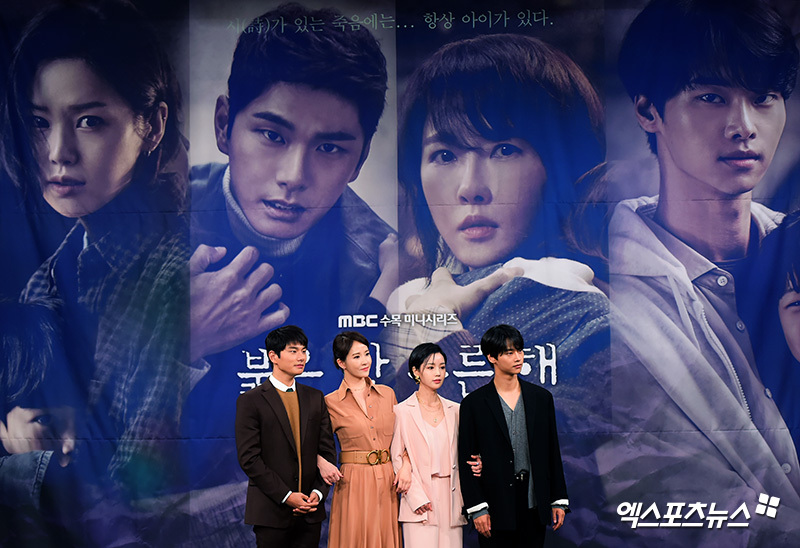 “Children of Nobody” (also known as “Red Moon, Blue Sun”) is a new mystery thriller starring Kim Sun Ah as Cha Woo Kyung, a child psychologist with a seemingly perfect life. After winding up in a strange car accident, Cha Woo Kyung’s world comes crashing down as she stumbles upon a mysterious child and embarks on a quest for the truth, using poetry as clues. 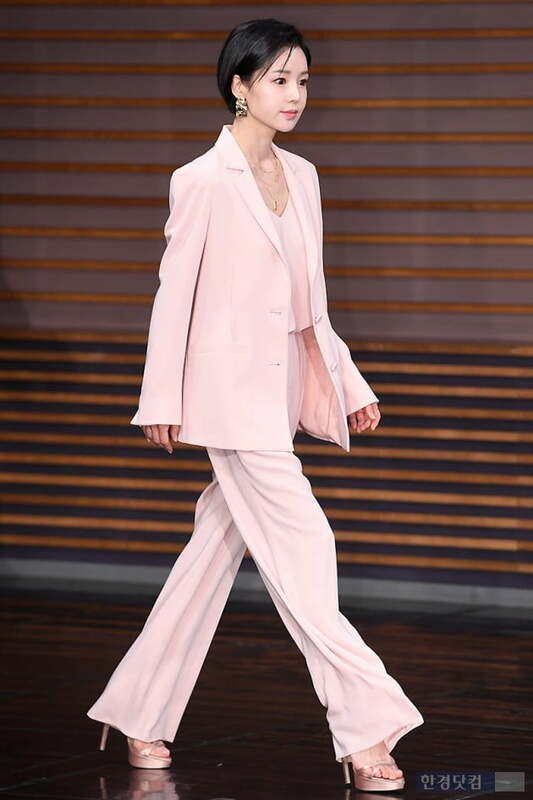 On November 21, the drama revealed new stills of its protagonist looking badly shaken after the mysterious car accident that changes her life. Kim Sun Ah appears shell-shocked and distraught as she clutches the steering wheel of her car, surrounded by broken glass. Ximdomado will be one of the PPL sponsors for Children of Nobody. First two episodes were intense, I hope the intensity continues in next episodes. I think the young girl and Park Ji Hae (Ha Joo Hee) have a connection, which we will know later on. anyways I don't expect that CoN will get higher ratings than My Secret Terrius, since it has The Last Empress - and soon, Encounter - as ratings opponents on the same time slot. 5-7 percent will be alright for me. The MBC drama 'Red Moon Blue Sea' started broadcasting on the 21st. This work, produced by Mega Monster, is a mystery thriller that traces the truth with a cue to poetry, the heroine, Cha Woo Kyung, who confronts the child of doubt and the incident of questioning. Cha Woo-kyung is portrayed by actress Kim Sun-a who had starred in dramas such as 'Should we kiss first' and 'Woman of dignity'. Choi Jung-kyu PD, who produced 'Ohjeonghwa', and PD Kang Hee-joo, who co-directed 'hide-and-seek', direct the series together, with writer Do Hyun-jeong who wrote 'Que Sera Sera'. PD Choi said, "Poetry can be a clue and a factor that confuses people." He added, "The unique atmosphere of poetry will make the drama more interesting." “Children of Nobody” (also known as “Red Moon, Blue Sun”) is a new mystery thriller starring Kim Sun Ah as Cha Woo Kyung, a child counselor with a seemingly perfect life. After winding up in a strange car accident, Cha Woo Kyung’s world comes crashing down as she stumbles upon a mysterious child and embarks on a quest for the truth, using poetry as clues. This is indeed a thriller. What is the little girl though? Any theories?